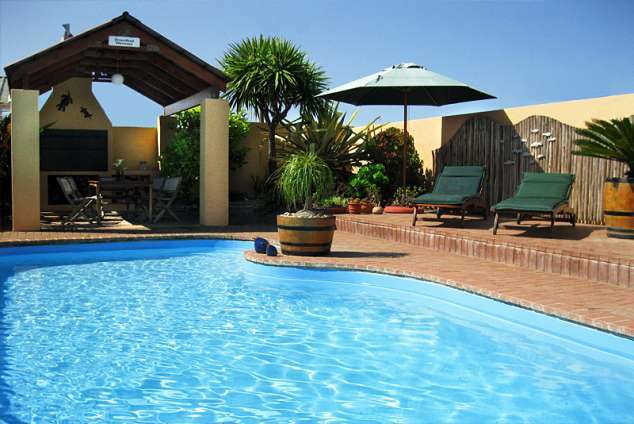 Avenues Guest House - Mossel Bay Accommodation. Situated in the gateway to the Garden Route and above beautiful Mossel Bay, Avenues Guesthouse is a place of tranquility with comfortable en-suite bedrooms, saltwater pool and cosy courtyard. Close to Mossel Bay Golf Course. Beaches, hiking trail, sightseeing spots, restaurants and shopping malls nearby. Off-street parking. Free Internet access. German and English spoken. 33587 page views since 03 Jun, 2004.